I'm working on a change of direction for the site. I'm hoping to move in the direction of a VW information portal. I wanted to create a place you can come to find out the current news, advice on performance upgrades, and get to know fellow VW owners. I still plan on updating the site with major developments and information about upcoming models, however I think the real value will be in the information you can share with each other. I hope the creation of a forum will encourage that interaction. Check it out, make a posting, and let me know what you think. Be patient, many of the pages are still under construction while I convert everything over. ** UPDATE ** The new url www.vwinfo.net is now working! Bookmark this new address. The wheelbase should grow by about 4 inches, which will show up primarily in additional rear legroom. The good news is that curb weight should drop by about 300 pounds. Today, Volkswagen of America, Inc. announced a new vehicle warranty available on all 2002 Volkswagen models that begin arriving at U.S. dealerships this month and throughout the summer and fall. Volkswagen said it based its new warranty for the 2002 model year on customer research and feedback, creating a more optimal warranty focused on providing even better comprehensive coverage for today's Volkswagen customer. For the 2002 model year, all new Volkswagen vehicles will come standard with an increased four-year/50,000 mile (whichever occurs first) bumper-to-bumper warranty, up from two years/24,000 miles. The warranty covers wear-and-tear items and adjustments during the initial 12 months or 12,000 miles of ownership. In addition, Volkswagen will offer a fully transferable limited powertrain warranty that covers five years or 60,000 miles (previously 10 years/100,000 miles, but transferable only from the original retail owner to a family member). Volkswagen's previous Protection Plus Warranty, which was the first of its kind in the industry when we launched it some six years ago, has offered many customers benefits (more) especially to those owners who plan to own a Volkswagen for many years to come, said Frank Maguire, vice president in charge of sales and marketing. We want to be responsive to our customers and research tells us the new 4/50 offers what today's buyer expects from a premium warranty. It reflects our commitment to meeting the evolving preferences of our customers. Volkswagen's new warranty plan also includes the added security of a four-year/50,000 mile, 24-hour roadside assistance program (increased from 2001Õs two-year term). The VW GTI Klub Polska has pictures of the next generation A5 Jetta/Golf Cabrio. I'm not sure if these pictures are legit, but they are worth a look. The site is in Polish. Translation anyone? There are some cool photos showing off the RETRACTABLE HARDTOP roof. It looks sweet!!! If this isn't for real, IT SHOULD BE!!! According to VW.com the facelifted Passats have started to show up at dealerships. The base 1.8t has been upgraded to 170 h.p. just like it was in the Audi A4. 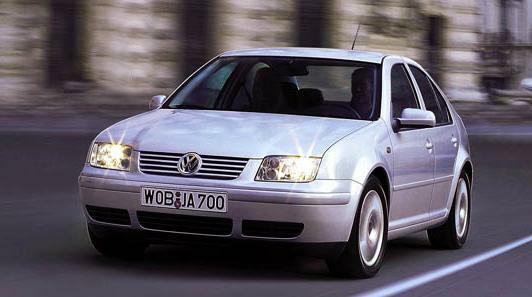 On a related note, it appears the W8 4 motion Passat will make its US appearance after the 2002 Detroit Auto Show. Check out Garrett Automotive's tuning chips to turn your 1.8t into a 193hp screamer! Interested in joining a VW club? Check out Club H20. Need a bigger dose of VW? Try the internet newsgroup rec.autos.makers.vw.watercooled. 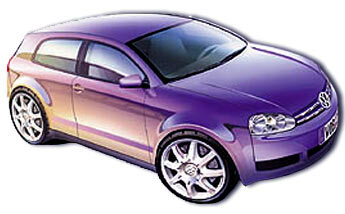 This site is not affiliated with VW AG or Volkswagen of America. All trademarks, service marks, and trade names are proprietary to Volkswagen of America, Inc. In particular, the Volkswagen logo, the word "Volkswagen", and all Volkswagen vehicle names are registered trademarks.